Princess Annika has had a heated argument with her parents,the kings, and decides to escape from her kingdom despite his father’s warnings. She attends to a festival in the kingdom, where she meets an evil wizard by the name of Wenlock, who asks the princess to marry him. As soon as Princess Annika refuses, the wicked man, comes to warn them before kings that the kingdom will be destroyed. 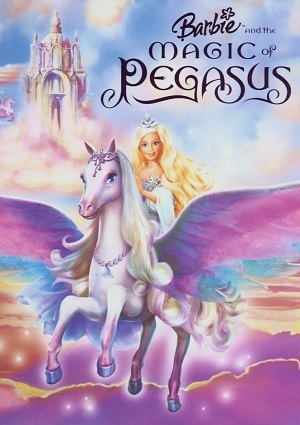 Wenlock turns to stone all the kingdom; and Annika, manages to escape aided by a Pegasus, named Brietta, which will bring a change to her life and a love lesson. There is a big secret explaining why Annika’s parents are so overprotective. Annika has only a couple of days to reverse the spell Wenlock cast over her kingdom and also on Brietta, and in order to do so, she must create the “Wand of Light”, to be able to end with the evil sorcerer. Many adventures must live both friends before finding a solution to their problems, and Wenlock won’t give up so easily. The creation of the Wand of Light is not a simple matter, so Annika must learn from her mistakes as approaches her the power that she seeks so much to be happy again.